REPORT OF A BICYCLIST HIT BY A VEHICLE IN THE WESTBOUND LANES. ROLLOVER CRASH WITH INJURIES, DOWNED POWER LINES, VEHICLE VS TREE, VEHICLE VS HOUSE. E91 ASSIGNED TO THE FRONT OF THE BUILDING. 3 LINES ON THE FIRE, 2 HOLES IN THE ROOF, PRIMARY SEARCH UNDERWAY BY 7:40 PM. CRASH CRASH INTO A HOUSE WITH INJURIES AND ENTRAPMENT. ONE PERSON REPORTED TO BE TRAPPED UNDER THE VEHICLE. APARTMENT FIRE IN A VACANT BUILDING UNDERGOING RENOVATION. BC4 ON ARRIVAL REPORTS A 3-STORY ORDINARY, 25X70, AND REQUESTS A STILL AND BOX AT 3:04 AM. ONE FIREFIGHTER WITH MINOR INJURIES TRANSPORTED TO RUSH UNIVERSITY MEDICAL CENTER. BC4 REPORTS A FIRE ON ALL THREE FLOORS WITH AN EXPOSURE ON SIDE D AND SIDE C. TWO 2 1/2 LINES AND A DECK GUN GOING BY 3:06 AM. THIRD ENGINE (E28) ASSIGNED TO TAKE A LINE OFF OF E23. BC4 REPORTS DECK LINE AND 4 2 1/2-INCH LINES, AERIAL GOING UP, AND NO SEARCH POSSIBLE AT 3:09 AM. 2-11 REQUESTED AT 3:19 AM. 5 LINES ON THE FIRE. SEARCH COMPLETE IN THE EXPOSURE BUILDING ON SIDE D AT 3:28 AM. ORIGINAL FIRE BUILDING IS 1343. THE EXPOSURE BUILDING IS 1347 -- A 2-STORY ORDINARY, 25X50. SHUTTING DOWN ALL HANDLINES AND LET THE BUILDING DRAIN, RE-ARRANGING RIGS AND PUTTING TOWER LADDER OUT FRONT, RE-EVALUATING HOT SPOTS AT 4:11 AM. CRASH WITH INJURIES AND A SHOOTING. REQUESTING A THIRD AMBULANCE FOR A FEMALE VICTIM AT 4:05 PM. MABAS DIVISION 20 BOX ALARM ON BOX #1000 FOR A "CHLORINE SPILL." A 130 X 130 SQ FT WAREHOUSE IS AT NORTHEAST CORNER. HAZMAT LEVEL 2 REQUESTED AT 9:01 AM. ENTRY TEAM HAS MADE ENTRY, HAZARD HAS BEEN DISCOVERED AND HAZARD HAS BEEN STOPPED BY 9:34 AM. SQUAD(S): MABAS 11 HAZMAT TRUCK 1100 FROM NORTH RIVERSIDE? REPORT OF A GUNSHOT VICTIM IN A LOUNGE BAR AND GRILL WITH SLOT PLAY "PMO CLUB". UNSECURE SCENE AT 9:48 PM. CREW ON ARRIVAL WAVED IN BY PD AT 9:51 PM. PATIENT TRANSPORTED TO LEVEL 1 TRAUMA CENTER ADVOCATE CONDELL MEDICAL CENTER IN LIBERTYVILLE. VICTIM WITH POSSIBLE MULTIPLE GUNSHOT WOUNDS. SHOOTER AT LARGE IMMEDIATELY AFTER SHOOTING. SCOOTER CRASH WITH AT LEAST ONE FEMALE/ADULT SERIOUSLY INJURED. SECOND AMBULANCE REQUESTED AT 9:09 PM. FLIGHT FOR LIFE ON STANDBY AT 9:14 PM. FLIGHT FOR LIFE HAS A 15-MINUTE ETA AT 9:18 PM. LANDING ZONE CARY JUNIOR HIGH SCHOOL/CARY FIRE STATION 2. 232 BLOCKING AT STERLING RIDGE. CARY A252 TRANSPORTING TO LANDING ZONE AT ABOUT 9:25 PM. FLIGHT FOR TRANSPORTING TO LEVEL I TRAUMA CENTER ADVOCATE CONDELL MEDICAL CENTER, LIBERTYVILLE. REPORT OF HEAVY SMOKE COMING FROM A SEMI-TRAILER TRUCK WITH GRASS ON FIRE ADJACENT TO THE TRUCK, WHICH IS PARKED ON THE SHOULDER. REPORTED AS NB I-355 AT THE 2 MILE MARKER. INITIALLY REPORTED AS NORTHBOUND BUT MAY ACTUALLY BE SOUTHBOUND I-355. 2ND ALARM AT 12:41 PM BRUSH TRUCKS ONLY. CRASH WITH INJURIES WITH A 3-AMBULANCE RESPONSE. CREW ON ARRIVAL REPORTS 2 VEHICLES WITH MODERATE DAMAGE. SECOND AMBULANCE REQUESTED AT 10:43 AM. THIRD AMBULANCE REQUESTED AT 10:55 AM. CRASH WITH REPORTED INJURIES INVOLVING A RIVERWOODS POLICE SUV AND A BLACK CHEVY CORVETTE. SEVERE FRONT END DAMAGE TO POLICE SUV. CHIEF(S): BC51 OUT ON AN AFA AT RIVERWOODS SHOPPING CENTER. MABAS DIVISION 4 BOX ALARM ON BOX #43I RESIDENTIAL FOR A STRUCTURE FIRE (HOUSE FIRE). BC5 REPORTS AERIAL TO THE ROOF, LADDERS ON SIDE A, PRIMARY SEARCH UNDERWAY BY 3:22 PM. AUTOMATIC FIRE ALARM WITH SMOKE REPORTED ON ARRIVAL BY INTERIOR CREW. SQD1 CREW ON ARRIVAL INVESTIGATING A 15-STORY APARTMENT BUILDING AT 1:19 PM. UPGRADED TO A CODE 3 AT 1:24 PM. UPDGRADED TO A CODE 4 CONFIRMED FIRE IN A GARBAGE CHUTE AT 1:26 PM. FIRE OUT BY 1:56 PM IN THE SPRINKLER-ACTIVATED BUILDING. SPRINKLERS WERE ACTIVATED IN THE MECHANICAL ROOM AND SOME UPPER FLOORS IN THE GARBAGE CHUTE. A32 CREW ON ARRIVAL REPORT TWO VEHICLES WITH SIGNIFICANT DAMAGE AT 12:14 PM. TWO PATIENTS AND SEVERAL REFUSALS. NO ENTRAPMENT, BUT TOOLS NEEDED TO POP A DOOR. FOX LAKE AMBULANCE EN ROUTE TO MUNDELEIN AT 4:34 AM. MULTIPLE REPORTS OF A 3-VEHICLE CRASH WITH HEAVY DAMAGE CRASH WITH INJURIES AND A FUEL LEAK. CREW ON ARRIVAL REPORTS 3 VEHICLES WITH HEAVY DAMAGE AT 5:50 PM. EXTRICATION OF A CHILD FROM THE BACK SEAT. PATIENT EXTRICATED AT 6:07 PM. BC42 REQUESTS EXTRICATION ENGINE FROM KNOLLWOOD AT 5:57 PM. MABAS DIVISION 12 BOX ALARM ON BOX #7 FOR A CRASH WITH EXTRICATION ON ORDERS OF BC6. ALL AMBULANCES RESPONDING TO THE SCENE ARE TO RESPOND SOUTHBOUND. EXTRICATION IN PROGRESS WITH 5 TOTAL PATIENTS AT 2:33 PM. MEDIC 7 IS MEDICAL CONTROL. ST CHARLES MEDIC 152 DIVERTED TO WEST CHICAGO STATION 7. NAPERVILLE AND WARRENVILLE RELEASED AT 2:44 PM. EMS BOX STRUCK OUT AT 2:44 PM. CHANGE OF QUARTERS: ST CHARLES MEDIC 152. MABAS DIVISION 5 BOX ALARM ON BOX #5-861 FOR A GRASS FIRE. "FIRE IS KNOCKED" AT ABOUT 1:26 PM. BOX ALARM STRUCK OUT AT ABOUT 1:29 PM. AERIAL VIDEO: PURE METAL RECYCLING SCRAP METAL FIRE (VIDEO CREDIT: ELGINET). MABAS DIVISION 2 BOX ALARM ON BOX #2-470 FOR A METAL SCRAP PILE FIRE. AT LEAST ONE AERIAL MASTER STREAM. PURE METAL RECYCLING LOCATION FORMERLY KNOWN AS ACME SCRAP METAL. 2ND ALARM AT 12:45 PM. STRUCK OUT AT 1:16 PM. REPORT OF A HOUSE FIRE WITH AN EXPOSURE BUILDING. E50 AND THE TRUCK ON ARRIVAL REPORT SMOKE SHOWING. BC19 REPORTS A 2-1/2-STORY FRAME, 25X50, UNOCCUPIED, ONE LINE ON THE FIRE, EXPOSURE PROBLEM ON SIDE B ... BC19 REQUESTS A BOX AT 1:16 AM. E123 ASSIGNED TO BRING A LINE TO THE REAR OF THE EXPOSURE BUILDING. BC19 REPORTS 2 LINES ON THE FIRE, TL39 WORKING ON ORIGINAL FIRE BUILDING, SEARCHES UNDERWAY IN EXPOSURE BUILDING, SECOND LINE LEADING OUT TO EXPOSURE BUILDING AT 1:24 AM. 5 LINES, ONE MASTER STREAM, DEFENSIVE MODE AT 1:54 AM. STILL AND BOX STRUCK OUT AT 1:55 AM ON ORDERS OF 225. TRUCK(S): T18 T ?? TL ?? E112 CREW ON ARRIVAL REPORTS A LITTLE SMOKE SHOWING. BC10 REPORTS A 2-STORY ORDINARY, 50X75 WITH A FIRE ON THE BACK PORCH THAT LOOK LIKE IT GOT INTO THE KITCHEN. E112 IS LED OUT, AERIAL TO THE ROOF, RAISING SOME GROUND LADDERS BY 11:16 PM. BC10 REPORTS FIRE IS OUT IN A 50X100 2-STORY ORDINARY, ONE LINE ON THE FIRE, MAIN TO THE ROOF, PRIMARY SEARCH COMPLETE AND NEGATIVE, SECONDARY SEARCH UNDERWAY BY 11:25 PM. REPORT OF A HOUSE FIRE. WITH SOME TYPE OF EXPLOSION. POLICE ON ARRIVAL REPORT HOUSE IS FULLY-ENGULFED. REPORT OF AN IRRITANT IN AN APARTMENT/CONDO LOBBY. MULTIPLE RESIDENTS WERE WALKING OUT OF THE APARTMENT BUILDING, COUGHING. A SECOND AMBULANCE WAS REQUESTED AT 9:29 PM. CREW ON ARRIVAL REPORTS THEY ALSO DETECT AN IRRITANT. CREWS MASKED UP AND INVESTIGATED. IRRITANT WAS DETERMINED TO BE PEPPER SPRAY OR MACE DISPERSED IN AN APARTMENT BUILDING LOBBY. RESIDENTS WERE ALLOWED TO RETURN TO THEIR RESIDENCES ABOUT 10:45 PM. HazMat for Unknown Irritant Determined To Be Pepper Spray, Ridge Square Elk Grove Village. A12 ADDS THEMSELVES TO THE CALL -- RESPONDING FROM NORTHWEST COMMUNITY HOSPITAL. E12 CREW REPORTS A HEADER IN THE SKY -- UPGRADED TO CODE 4 FOR VISIBLE HEADER IN THE SKY AT 11:20 AM. CREW ON ARRIVAL REPORTS FULLY-INVOLVED GARAGE FIRE. PULLING A SECOND LINE AT 11:22 AM. POSSIBLE EXPOSURE GARAGE TO THE EAST AT 11:24 AM. T-BONE CRASH WITH INJURIES AND SUV ROLLOVER ON RENWICK RD BRIDGE OVER STEVENSON EXPRESSWAY (I-55). CRASH POSSIBLY A NON-INTERSECTION CRASH ON SLICK BRIDGE WITH SPINOUT AND T-BONE IMPACT. TL19 OFF WITH A STANDBY LINE. CRASH WITH INJURIES ON MCHENRY RD IN FRONT OF THE BUFFALO GROVE THEATERS. CRASH LOCATED IN THE NORTHBOUND LANES -- ALSO IN FRONT OF JEWEL-OSCO. BC4 REPORTS 3 VEHICLES WITH HEAVY DAMAGE. BC4 REPORTS A TOTAL OF SIX PEOPLE IN CRASHED CARS. INITIALLY CHECKING 3 PATIENTS AT 5:53 PM. MABAS DIVISION 8 BOX ALARM ON BOX #21 FOR A STRUCTURE FIRE. STRUCK OUT AT 2:09 PM. CAR VS POLE CRASH WITH INJURIES AT NORTH SHORE TOWING. CRASH IS ON THE GRAVEL RD TO NORTH SHORE TOWING. REPORT OF AN UNCONSCIOUS DRIVER AND A CHILD IN THE VEHICLE. CREW ON ARRIVAL REPORTS CAR ABOUT HALF-WAY DOWN THE ACCESS DRIVEWAY. MULTIPLE PEOPLE WITH "STOMACH FLU"
REPORT OF MULTIPLE PATIENTS WITH "STOMACH FLU" AT THE SUMMIT OF UPTOWN PARK RIDGE -- ONGOING FROM OVERNIGHT. HEALTH DEPARTMENT NOTIFIED -- ALREADY ON SCENE THURSDAY MORNING. SOME PATIENTS TRANSPORTED TO ADVOCATE LUTHERAN GENERAL HOSPITAL. MABAS DIVISION 12 BOX ALARM ON BOX #642 FOR A STRUCTURE FIRE (TOWNHOUSE FIRE). STREAMWOOD E31 MOVED UP FROM STAGING TO RIT AT 3:54 AM. ADDISON QUINT73 GOING INTERIOR AT 3:54 AM. ROLLING MEADOWS MOVED UP TO REHAB AT 4:03 AM. REQUEST FOR COOK COUNTY INVESTIGATORS AT 4:14 AM. REQUESTING CAROL STREAM SQD27 WITH SHORING AT 4:28 AM. BOX ALARM STRUCK OUT AT 4:40 AM. BROADVIEW REQUESTS COM ED EXPEDITE FOR ARCING AND SPARKING IN THE BACKYARD AT 11:49 AM. FIRE THROUGH THE ROOF AND EXTERIOR ATTACK AT 12:04 AM. FIRE IS KNOCKED "WE REALLY NEED COM ED" AT 12:08 AM. MAKING GOOD PROGRESS; CLEANUP PHASE, BOTH UTILITIES ON SCENE AT 12:15 AM. INVESTIGATORS BOX AT 12:17 AM. SEMI-TRUCK AND CAR CRASH NEAR ON RAMP FROM SB SUTTON TO WB I-90, HOFFMAN ESTATES. REPORT OF A CRASH INVOLVING A SEMI-TRAILER TRUCK AND A CAR ONRAMP FROM SB SUTTON (ROUTE 59) TO WB I-90. CREW ON ARRIVAL REPORTS A CRASH INVOLVING A SEMI-TRUCK AND A CAR. I-90 COMMAND RESPORTS ONLY ONE AMBULANCE NEEDED. REPORT OF A BATHROOM FULLY INVOLVED WITH FIRE IN A 2-STORY HOUSE. POLICE CONFIRMED FULLY-INVOLVED SECOND FLOOR AT 2:33 AM. E141 CREW ON ARRIVAL REPORTS SMOKE SHOWING OUT OF THE A SIDE AND UNKNOWN UNIT REPORTS HEAVY FIRE SHOWING OUT THE C SIDE OF THE HOUSE AT 2:35 AM. E141 CREW LEADING OUT WITH AN 1 3/4 TO THE SECOND FLOOR. FIRE IS OUT AT 2:52 PM. SEMI-TRAILER TRUCK ROLLOVER BLOCKING ALL LANES AND BOTH SHOULDERS OF WESTBOUND I-80. WB I-80 BACKED UP TO RIDGE RD. I-80 TRAFFIC BEING DIVERTED OFF AT RIDGE RD. FATAL CRASH INVOLVING A SEMI-TRAILER TRUCK AND A CAR ON EOLA RD NORTH OF DIEHL RD AURORA. A SECOND CAR WAS HIT BY THE TRUCK AFTER THE INITIAL CRASH. ONE MAN KILLED, ONE WOMAN WITH INJURIES TRANSPORTED TO HOSPITAL, AND ONE WOMAN TREATED AND RELEASED AT THE SCENE. NORTHBOUND EOLA BACKED UP. ROAD CLOSURES INVOLVING DIEHL AND EOLA IN THE AREA. FIRE IN A 2-STORY MULTI-FAMILY RESIDENCE. 400 ON ARRIVAL REPORTS SMOKE SHOWING. SEMI-TRAILER TRUCK STRUCK A NEW RAILROAD OVERPASS ON EB IRVING PARK RD JUST EAST OF YORK ROAD. THE ROAD UNDER THE NEW OVERPASS OPENED SUNDAY, AND THE OVERPASS HAS BEEN STRUCK SEVERAL TIMES BY TRUCK THAT ARE TOO TALL FOR THE POSTED HEIGHT. REPORT OF A FIRE IN THE SUBWAY. 2-2-1 REPORTS A LITTLE BIT OF FIRE BRAKE SHOE? REPORT OF A HOUSE FIRE -- INITIALLY REPORTED AS 8544 ADA. BC21 REPORTS A 1-1/2-STORY BUNGALOW, 25X40, WITH A FIRE INSIDE IN SECTOR 4. BC21 REPORTS FIRE IS COMMUNICATING AT SECTOR 4 AND REQUESTS A STILL AND BOX AT 11:02. BC21 REPORTS PRIMARY SEARCH IS UNDERWAY AND SEARCHING FOR EXTENSION IN THE EXPOSURE BUILDING BY 11:09 AM. BC21 REPORTS MAIN BODY OF FIRE KNOCKED DOWN, OVERHAUL UNDEWAY, MAIN TO THE ROOF, SEARCHING FOR EXTENSION IN THE EXPOSURE BUILDING, ALL COMPANIES ARE WORKING. ALL SEARCHES COMPLETE AND NEGATIVE. EXPOSURE BUILDING AT 8604 IS AN OPEN AND DANGEROUS BUILDING. STRUCK OUT AT 11:17 AM ON ORDERS OF 225. MABAS DIVISION 14 BOX ALARM ON BOX # FOR A STRUCTURE FIRE (HOUSE FIRE). MABAS DIVISION 2 BOX ALARM ON BOX #2-1821 FOR A STRUCTURE FIRE (HOUSE FIRE). MABAS DIVISION 11 BOX ALARM ON BOX #600 FOR A STRUCTURE FIRE (HOUSE FIRE). 2 1/2-STORY HOME WITH A FIRE. CRASH WITH INJURIES RIGHT TURN LANE IN FRONT OF BANK OF AMERICA. E142 CREW ON ARRIVAL REPORTS 3-CAR REAR-END COLLISION. SOUTHBOUND RANDALL RD HEAVY TRAFFIC. REPORT OF A PLAYGROUND SLIDE ON FIRE. CREW ON ARRIVAL REPORTS A PLAYGROUND SLIDE IS ON FIRE. FIRE REPORTED OUT AT 10:36 AM. CRASH WITH NO CHILDREN INJURED. SCHOOL BUS DRIVER TRANSPORTED TO ADVOCATE CONDELL MEDICAL CENTER. SCHOOL BUS HAD FRONT/DRIVER'S SIDE DAMAGE AFTER CRASH WITH A CAR. CHILDREN WERE EN ROUTE TO FREMONT MIDDLE SCHOOL IN MUNDELEIN. Twenty-five children were assessed and evaluated by Countryside Fire Protection District paramedics on the scene of a Fremont District 79 bus accident before being transported to Fremont Elementary and Fremont Intermediate Schools Friday morning. At about 8:35 a.m. March 20, a Fremont bus traveling northbound on Gilmer Road traveled through the intersection of Hawley Street where it was struck by a car traveling eastbound. The bus had the right of way. The bus was transporting students in Grades Kindergarten through Five to school. The bus is equipped with lap and shoulder belts and the bus driver encouraged all children that morning to wear them. The bus driver was taken to a local hospital by an ambulance to be evaluated for non-life threatening injuries. As of 10:30 a.m. there was no update on the driver. Children's parents were notified of the accident. Children were transported back to school where they met with school social workers and psychologists to help them process the accident. A nurse assessed the children on their return to school. The accident is under investigation by the Hawthorn Woods Police Department. REPORT THAT AN INMATE IS AT THE TOP OF A VENT AND NEEDS HELP GETTING DOWN. HIGH PRESSURE GAS MAIN. ENG CREW HAS A STANDBY LINE. 2-INCH MEDIUM PRESSURE LINE; WAITING FOR GAS COMPANY TO SHUT IT DOWN AT 8:55 AM. 5-1-1 (HAZ-MAT INCIDENT TEAM 1)?? 5-1-0 (DEPUTY DISTRICT CHIEF HAZMAT)?? MABAS DIVISION 24 FULL STILL ALARM ON BOX #1303 FOR A STRUCTURE FIRE. CRASH WITH INJURIES; 3 CHILDREN AGE 3-5 AND TWO ADULTS ON BOARD. POSSIBLY MINOR OR NON-LIFE-THREATENING INJURIES. 3 CHILDREN AND ONE ADULT TRANSPORTED TO LOCAL HOSPITAL(S). SMALL SCHOOL BUS WAS WESTBOUND ON RIVER RD JUST NORTH OF FOX RIVER AND APPROACHING BLACKHAWK SPRINGS DR WHEN THE SCHOOL BUS LEFT THE ROADWAY AND HIT SOME TREES. THE SCHOOL HAD JUST DEPARTED YORKVILLE GRADE SCHOOL. REPORT OF A CAR FIRE. CREW ON ARRIVAL REPORTS A PERSON STRUCK BY A CAR. PERSON MAY HAVE BEEN STRUCK BY A VEHICLE WHILE EVACUATING THEIR OWN CAR FIRE. CREW ON ARRIVAL REPORTS TRAFFIC ALL OVER THE PLACE; REQUEST SHUT DOWN OF TRAFFIC. ALL LANES OF INBOUND I-55 BLOCKED. REPORT OF A FIRE IN THE KITCHEN AT JEWEL WITH FLAMES SHOWING. E82 CREW ON ARRIVAL REPORTS NOTHING SHOWING BY 10:39 AM. FIRE IS CONFINED/CONTAINED TO A BOILER OR ROTISSERIE UNIT; REPORT BY 10:40 AM. E82 REQUESTS A FIRE EXTINGUISHER FROM E81. NO EVACUATION OF CUSTOMERS NECESSARY (NOTE: DO NOT BASE YOUR DECISION ON THIS INFORMATION, CONDITIONS COULD CHANGE). HEALTH DEPARTMENT CALLED TO THE SCENE BECAUSE ANSUL WENT OFF IN THE AREA. HOUSE IS VACANT, FIRE WAS ON THE SECOND FLOOR AND THROUGH THE ROOF, ALL SEARCHES CONDUCTED, 2 LINES ON THE FIRE, HOLE IN THE ROOF, AND FIRE IS KNOCKED BY 3:25 PM. MABAS DIVISION 16 BOX ALARM ON BOX #4M FOR A VEHICLE ACCIDENT AT 9:00 PM. REPORTED HEAVY DEBRIS ACROSS LANES. FIRE SUPPRESSION UNITS CLEARING AT 9:20 PM. T9 REMAINING TO HELP WITH POLICE AND REMAINING PERSONNEL CLEARING THE SCENE. STRUCK OUT AT 9:20 PM. REPORT OF SUSPICIOUS POWDER IN ENVELOPES AT DAILY HERALD OFFICES BELIEVED TO BE HARMLESS. HAZMAT LEVEL II AT 8:35 AM. REPORT OF A TOWNHOUSE FIRE (2-STORY MULTI-FAMILY). WELL-INVOLVED TOWNHOUSE FIRE WITH FIRE THROUGH THE ROOF. CAR VS CRASH WITH INJURIES; POSSIBLE DUI. MABAS DIVISION 24 FULL STILL ON BOX 1 AT 153 AND LOOMIS ON ORDERS OF HARVEY 33, T2 AT 10:07 PM. ONE-STORY 50X50 HOUSE, DEFENSIVE MODE. HARVEY COMMAND REPORTS DEFENSIVE MODE WITH 2 LINES ON THE FIRE AND SETTING UP THE TRUCK BY 10:35 PM. REPORT OF A ROLLOVER EXTRICATION CRASH. US MAIL TRUCK ROLLOVER AFTER CRASH WITH A SILVER SEDAN. TWO-VEHICLE CRASH. SPECIAL CALL FOR MEDICAL TRANSPORTATION HELICOPTER. ONE PATIENT AIRLIFTED AND TRANSPORTED TO LEVEL 1 TRAUMA CENTER ADVOCATE GOOD SAMARITAN HOSPITAL IN DOWNERS GROVE. WB DUNDEE BLOCKED AT ELA. BARRINGTON-COUNTRYSIDE FPD AND PALATINE RURAL RESPONSE. NB BARRINGTON RD BACKED UP TO DUNDEE RD. CRASH CLEARED BY 5:42 PM. REPORT OF A CRASH WITH INJURIES ON NB ROUTE 83 SOUTH OF ROUTE 22. BC55 REPORTS 4 VEHICLES AND FOUR PATIENTS AT 4:01 PM. WESTBOUND ROUTE 22 WAS BACKED PAST BUFFALO GROVE RD. DEMOLITION COMPANY TEARING DOWN PROPERTY RUPTURED A GAS LINE. T7 REPORTS A "BIG MAIN" IS LEAKING FROM THE BUILDING. ROADS SHUT DOWN SOUTH OF INCIDENT. PEOPLES GAS ON THE WAY. BC12 REPORTSONE LINE LED OUT. ALL BUILDINGS NEARBY ARE VACANT SO NO EVACUATION IS NECESSARY. PEOPLES GAS PUT IN A TEMPORARY PLUG AND THEN WILL SHUT DOWN GAS. LEVEL 1 HAZMAT SECURED AT 2:00 PM ON ORDERS OF BC12. REPORT OF A MULTI-INJURY CRASH EB I-290 E MM 6. CRASH WITH INJURIES INVOLVING A VAN AND A BICYCLIST. BICYCLIST TRANSPORTED TO EDWARD HOSPITAL AND LISTED IN SERIOUS CONDITION. NAPERVILLE TRAFFIC UNIT/INVESTIGATION UNIT ON SCENE UNTIL ABOUT 8:30 PM. ANY CITIZENS WHO WITNESSED THE CRASH OR WHO HAVE INFORMATION ABOUT THE CRASH ARE URGED TO CALL NAPERVILLE POLICE DEPARTMENT TRAFFIC UNIT 630-305-5379. BC24 ON ARRIVAL REPORTS A FULLY-INVOLVED GARAGE FIRE. GOOD KNOCK ON THE FIRE BY ABOUT 10:19 AM. VIDEO: FULLY-INVOLVED GARAGE FIRE (VIDEO CREDIT LARRY SHAPIRO). E84 CREW ON ARRIVAL REPORTS THEY HAVE A FIRE. T51 SIDE A -- "BUILDING IS VACANT"
BC17 REPORTS A FIRE ON FLOOR 1, ONE LINE LED OUT AND AN AERIAL GOING TO THE ROOF. APPEARS TO BE A VACANT BUILDING INVOLVED IN REMOVING PLYWOOD. BC17 REPORT 2 LINES ON THE FIRE SIDE A ONE ON ONE, E50 CREW ON THE SECOND FLOOR, OPENING UP THE ROOF WITH PRIMARY SEARCHES UNDERWAY ON FLOORS ONE AND TWO BY 4:22 AM. FIRE UNDER CONTROL BY 4:24 AM. REPORT OF 2 PEOPLE INJURED IN A MOTORCYCLE CRASH WITH A DEER. TWO MEDICAL REFUSALS? MINOR OR NO INJURIES -- NOT CONFIRMED. 17-STORY COMMERCIAL BUILDING "THOMPSON CENTER" AUTOMATIC ALARM. HAZMAT INCIDENT WITH MULTIPLE PATIENTS FOLLOWING CHEMICAL SPRAY RELEASE AT WALMART. SIMILAR SITUATION OCCURRED AT KOHL'S IN SCHAUMBURG YESTERDAY, BUT A PEPPER SPRAY TYPE AGENT WAS IMMEDIATELY IDENTIFIED. POWER FAILURE FROM BELMONT, MELROSE TO CORNELIA TO LAKE SHORE DRIVE. NUMEROUS ELEVATOR RESCUE CALLS AND AUTOMATIC ALARMS. 431 S DEARBORN AUTOMATIC ALARM. SEVERAL 4-STORY BUILDINGS WITHOUT POWER. 15-STORY BUILDING ON CORNELIA WITHOUT POWER. T44 WHILE WORKING TO CHECK ON POWER OUTAGE GOT REAR-ENDED BY ANOTHER VEHICLE. TYPE I POWER OUTAGE RESPONSE ACTIVATED AT 8:43 PM. TL21 GOING TO 530 WEST CORNELIA AVE. TL21 GOING TO 530 WEST CORNELIA AVE. TL21 HELD UP. TL10 TAKING THE TYPE I POWER OUTAGE. 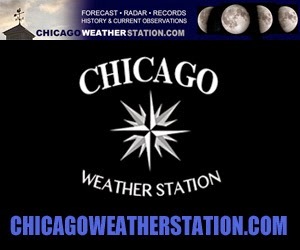 TYPE II POWER OUTAGE RESPONSE -- STAGING AT 3500 N LAKE SHORE DRIVE, CHICAGO AT 9:08 PM. COM ED REPORTING 427 CUSTOMERS WITHOUT POWER AT BUCKINGHAM PL NEAR BROADWAY WITH ESTIMATED RESTORATION AT 10:15 PM -- BUT CAUSE IS STILL UNDER INVESTIGATION. COM ED REPORTING 1588 CUSTOMERS WITHOUT POWER AT STRATFORD PL AND BROADWAY NEAR LAKE SHORE DRIVE WITH AN EQUIPMENT PROBLEM AND AN ESTIMATED RESTORATION TIME OF 10:28 PM. RESIDENTS IN HIGH-RISES SHOULD BE ATTENTIVE TO MESSAGE ON PUBLIC ADDRESS SYSTEM INSIDE THE BUILDINGS. FIREFIGHTERS WERE ASSIGNED TO MAKE ANNOUNCEMENTS THAT RESIDENTS SHOULD CALL THE LOBBY IF THEY NEED ASSISTANCE. COM ED IS REPORTED TO BE BRINGING IN A LARGE MOBILE GENERATOR THAT WILL BE IN THE NEIGHBORHOOD BY MIDNIGHT OR 1:00 AM. ON SHERIDAN WITH POWER LOSS: 3110 NORTH and 3180 NORTH. FIRE COMPANIES STARTING TO GO HOME AT 10:15 PM -- RELEASED BY 2-2-1. E86 CREW ON ARRIVAL REPORTS NOTHING SHOWING AT FIRST FROM A 2-STORY ORDINARY -- THEN REPORTS SMOKE SHOWING. BC8 REPORTS FIRE UNDER CONTROL, E86 HAD A LINE ON THE FIRST FLOOR AND E125 HAD A LINE ON THE SECOND FLOOR, PRIMARY SEARCHES COMPLETE AND NEGATIVE, SECONDARY SEARCH UNDERWAY, AND CHECKING FOR EXTENSION BY 7:00 PM. TRAFFIC JAMMED UP HARLEM AVE TO OAK PARK AVE.